This article is sponsored by the Texas Legends. Over the past few decades, basketball has most assuredly become an international game. Ample proof of that exists locally as the Dallas Mavericks’ longtime face of the franchise, Dirk Nowitzki (Germany), and the next great Maverick, Luca Doncic (Slovenia), are both international players. Even before the NBA started its own feeder league, the NBA Development League, now known as the NBA G-League, in 2001, players who couldn’t stick in the Association would often take their talents overseas and earn hefty paydays playing the game they love often to later return to the D-League or G-League as it is now known, with invaluable experience from their time abroad. 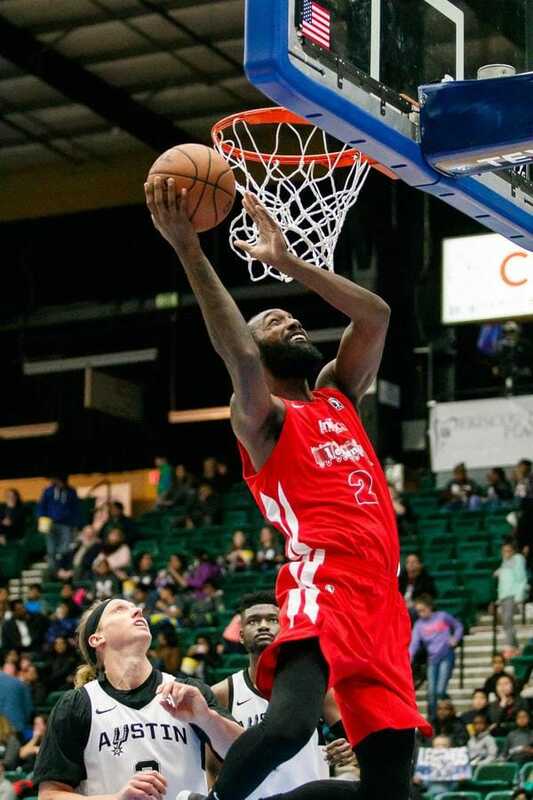 One player who has done exactly that, CJ Leslie, currently plays for the Texas Legends. Yeah, it’s a difference (when you play abroad). It’s nothing like being here. You definitely get a culture shock from going everywhere. Every new place you go to, there’s something that’s going to wow you whether it’s good or bad. 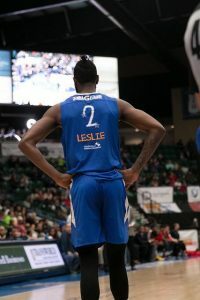 Leslie also previously spent time in the NBA G-League with Toronto’s affiliate, Raptors 905 during the 2016-17 season. Thus far, the 6-foot-9 North Carolina native has appeared in eight games with the Legends, four of those starts, and is averaging 8.4 points and 5.5 rebounds per game. Until recently, he and Ryan Boatright, who has also played abroad, were Legends teammates. However, the Legends bought out Boatright’s contract on January 10 so that he can return overseas. Leslie was sad to see Boatright, who he has been friends with since college, leave the Legends, but understands why his now ex-teammate returned abroad. You’ve got to be good at adjusting. You might do well and you (still) might sit on the bench. If they (your team) are not winning but you’re doing well, they (the coaches) still might not be happy with you. You just got to keep being able to really keep getting comfortable but not too comfortable. Legends head coach Bob MacKinnon Jr. has coached plenty of players with international experience during his long tenure in the G-League. Well, they’ve seen so much in the game that there’s not a whole lot of surprises for them anymore. When you’re not surprised, then you can act and react quickly. Both guys I think have a better understanding of the game of basketball in the pure sense. MacKinnon also likes the fact that additional experience which players who have ventured abroad have is also evidence of another overwhelmingly positive trait. There’s just a maturity level. It’s more of a mature approach that you take with them. In coaching, it’s a misnomer you don’t treat everyone the same. You treat everyone fairly and respectfully, but everyone’s different and everyone has to be treated differently. And with guys like that, you can treat them on a more mature basis. I’d say it helps you mature more. You’ve seen a lot more, so when things hit you there’s not an ‘oh-wow’ factor. You’re able to say well, ok I need to do this or at this point I didn’t see anything. I think that just comes with age too. You do it more and just find a way to get by as much as you can. Another thing which helped Leslie during his time abroad was being able to learn bits and pieces of various languages, words or phrases which could benefit him as a player. Yeah, bits and pieces of everything. One or two sentences or just learn how to say what I need. Leslie also remembers there often being rather glaring differences in how the game is played depending on the country. There’s a difference everywhere you go. Each country plays different and each country has a style that they pattern more after. You just have to adapt and adjust, just keep adjusting. He’s definitely good. He’s good with letting us know what guys (in the NBA) are looking for. He’s always trying to push guys to get better. He’s real knowledgeable.